When Freedom and Tuscarora High Schools met in early December, both teams were still trying to figure things out. Coming into that game, the Huskies were 0-4 and looking for their first win of the season, while the Eagles were 2-1 and looking to bounce back after a loss earlier in the week. Well, Tuscarora got what it was looking for as the Huskies’ shooters got hot, hitting eleven three-pointers while running away with a 24-point win. 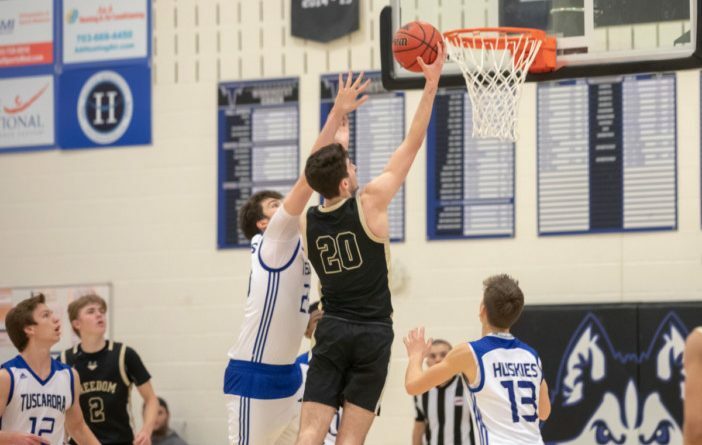 When the two teams met for round two on January 18, Tuscarora again connected on eleven threes, but this time the Freedom offense clicked, and the Eagles held off a second-half run by the Huskies to win, 68-63.